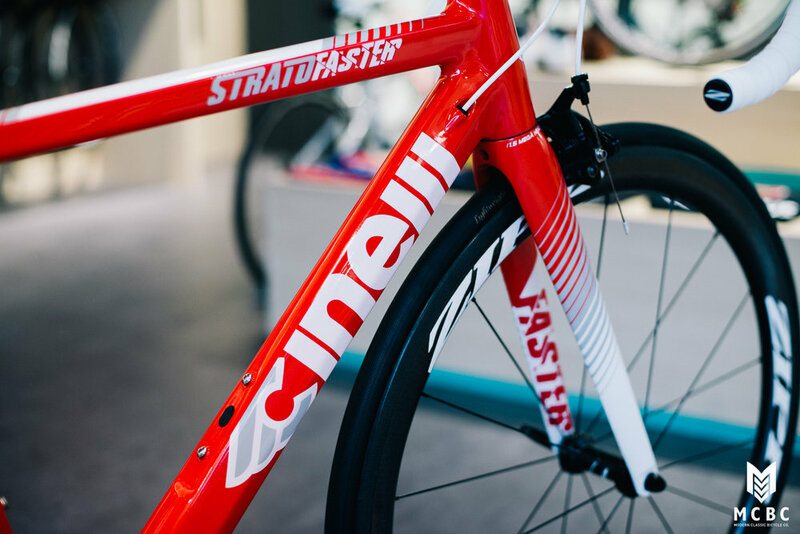 The latest version of the Cinelli Strato Faster is designed for Olympic Triathlon, as seen ridden by Italian Olympian, Anna Maria Mazzetti, and Russian Olympians, the Polyanskiy brothers in 2016 Rio Olympics. It is also Ideal for criteriums, circuit races. Moreover, It is the choice of bike for Paola Gianotti, Guiness World Record holder as the fastest woman to cycle across the world and as fastest woman to cycle across USA. 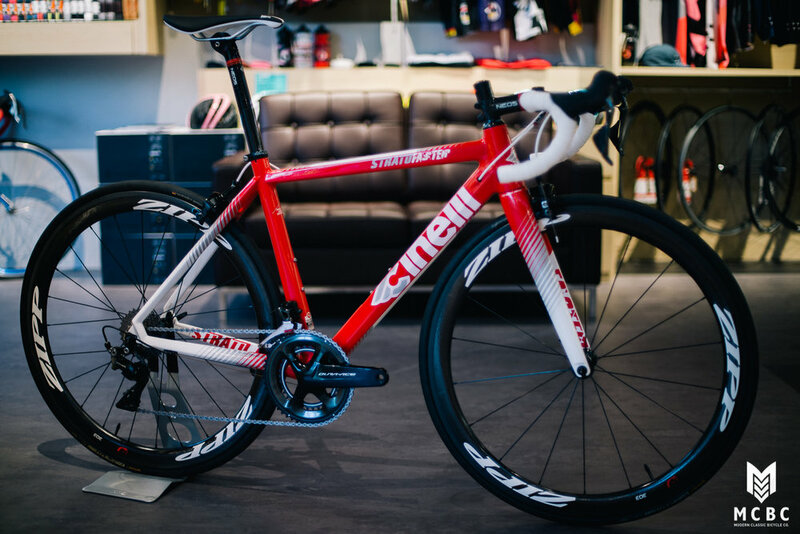 We have built up a Strato Faster with Dura-Ace 9100, Zipp 303 wheelset, Cinelli Neos carbon components and Fabric CC Saddle; the result is a light weight bike that not only looks but also rides FAST!